I have been thinking about creating a new virual tour directory page on my site that has a bit more style. My current page is simply a list of addressess, cities and prices and each features a link. Click here to view: http://www.sammiller.com/vtlisting.htm. I am looking for some nice examples that will give me some new direction (I would not copy your page but I am looking for some new ideas). I want to create a site page for my video tours that would have the same look and feel as my virtual tour page but we would actully embed the video into the page so that they could be played directly from the webpage and not have to have a popup. I would appreciate any site samples and suggestions you may have. Sam, if you have time I would 1) include summary listing info like BR/BA/SQ FT, style of home, city, neighborhood and definately a thumbnail photo and 2) create multiple pages broken down by locality. This will provide SEO benefit and keep visitors on your site longer. If you don't have time then just select the outsourced service that excites you the most ... this will subconsiously convey to your Sellers. Hey that is a real good listing promotion, I think I will need to use this format. My only concern is that with approx. 1,500 hits on a litsing with 2-3 going to the virtual tour is it really worth it? Hi Robert, I am curious...are you saying you are only getting 2-3 virtual tour views per 1,500 hits? If this is the case are you getting your numbers from Realtor.com? This number seems low to me based on my current website and virtual tour views and pecentages. Yes, those are the total hit rate numbers from Realtor.com with 2-3 hits on the virtual tour. Do you seem to get more action as a ratio of total hits? Take care! 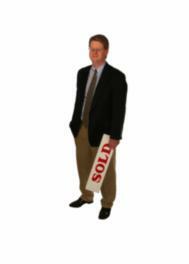 Yes, I am getting way more virtual tour click throughs on Realtor.com than that. I am surprised that your numbers are that low...is this the case with all your listings or a specific price range. I am getting over 10% on realtor.com and much higher on my personal site.